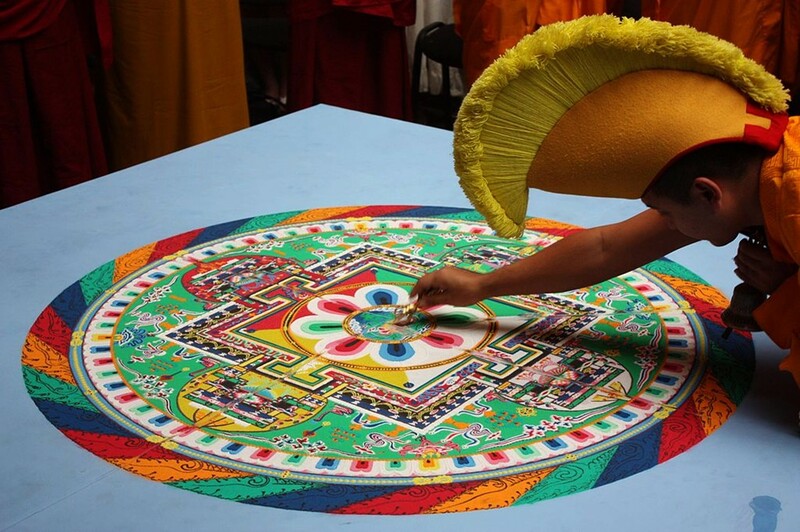 Tibetan Buddhist monks have a tradition of creating and destroying elaborate mandalas made of colored sand or dyed stones. It symbolizes the transitory nature of material life and the ephemerality of the world. Basically, things as they appear do not last forever. We shortly return to the world and start over. Chinese philosophy has the yin-yang, contrary forces interconnected and complementary. Opposing to form a dynamic system which is bigger than itself. Basically, balance in equal measure of a whole, light and dark, revealed and hidden. Survivors and the people who face surviving with them face a lot of darkness. The camaraderie of surviving is a powerful and positive force. In times of great turmoil, we have the ability to give each other peace and provide light in heavy shadows. However, as we grow and heal, we have to be careful and aware of this balance. For each destructive darkness, we must make the effort in equal measure for the creation of light. It's often easy, when having trusted sharing darkness with someone, to succumb to the routine where we mostly turn to them in times of darkness for comfort and support, only to turn from them during times of joy and light. While it is natural and healthy to seek peace after surviving weighted crisis, in doing so, we may not always be aware of who we leave behind, how we forget, and what precedence we create for returning. A dangerous cycle of loss with no gain can be casually and devastatingly created if we fail to see the balance shifting in time to amend our behaviors. It can become cruel to trust someone deeply enough to pull them close and cherish their comfort in crisis, while distancing yourself from them in times of happiness and stability. It is painful to only share the hurt with someone, while locking them away from other parts of your life. There is no balance in that action and it erodes the connection once shared. It removes the positive from the negative and leaves only the destruction. If a monk only destroyed the sand and never took the time to create the beautiful design, it would leave only the residue of colored dust, with an ever fading memory of what part the colors once played. If we removed the reflective yang leaving only the overcast yin, the world would be left in shadows. Long-term recovery is impossible when someone's role becomes so weighted to the lopsided. We can all make it through the dark, but only by being allowed moments of light on the other side. We can go through hell together, as long as we can keep going up and into something better. We have to be as thankful and respectful of sharing the light as we are of support within the dark. We have to take the time to recognize and cultivate this graceful balance. To truly survive, we have to bring people with us into the light, not just return on occasion to revisit them sharing in the dark.